Toy leaks happen all the time, especially when it’s related to big budget films. Usually those leaks happen from the factory. Sometimes, though, those leaks occur when stores put things onto the shelves too soon. That appears to be the case with some new toys for the upcoming Shazam Movie. Reports and photos are floating around online that people are finding the Thunder Punch Shazam 12″ Figure by Mattel in stores! Apparently, they are being pulled from shelves as well, but the cat’s out of the bag, and the figures are now on eBay. The 12″ tall figure features » Continue Reading. 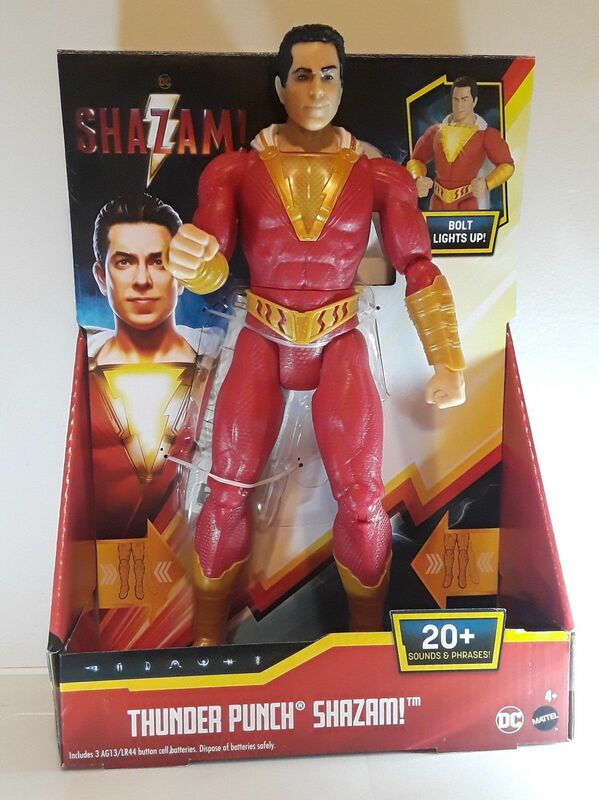 The post Shazam Movie Toys by Mattel Hitting Stores Early appeared first on The Toyark – News.